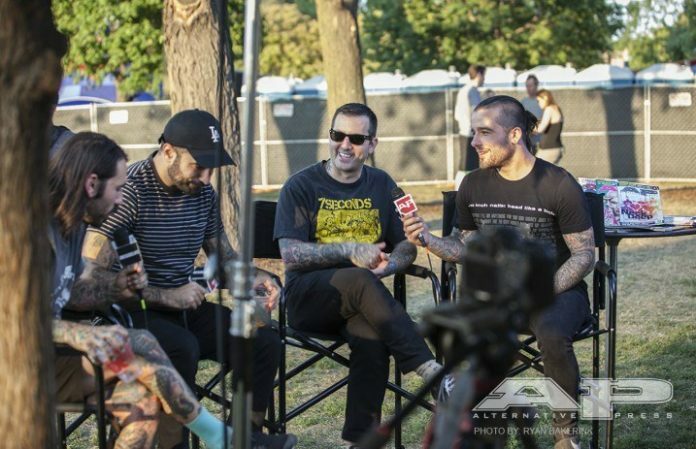 During Riot Fest this past weekend, Bayside discussed their third studio album The Walking Wounded and reflected on what makes the record so special. The album was released in February 2007, and the band recently announced The Walking Wounded 10-year anniversary tour. Frontman Anthony Raneri commented that Bayside went through “a whole lot of stuff,” both as a band and as people, during the making of the record — especially with the new addition of drummer Chris Guglielmo after the death of John “Beatz” Holohan. The anniversary tour sees the band playing the entire record in full — some very old songs that haven’t been played in a while and about four never played live before. During the interview Bayside also talked about what makes Riot Fest such a great festival, playing after-party shows and the difference between club and festival settings. Watch the full interview below.